I got some mails after showing my first house at facebook. Some thought it was a bit too accurate. I want to emphasize that I am not doing a fantasy campaign. Surely, the fantasy style is very pretty to look at and artistically very sophisticated, but I am for factuality. Our eye is clouded by many things - especially in the Middle Ages - by many influences. Starting with films that often show a shabby and primitive way of building, as well as fantasy themes that seem medieval. 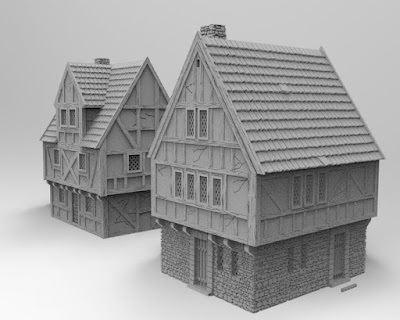 We here in europe are, as far as early construction in timber-frame technology is concerned, very spoiled. Many very old houses are still standing. Again, the impression is a little crooked and crooked. But of course, the houses are unchanged for up to 600 years !! Of course, the oak beams will give way and there will be misalignment and slight imbalances. But, let us not forget. The craftsmen of the Middle Ages were highly qualified, highly talented builders. What they did at that time would be desirable in the art of craftsmanship at the present time. 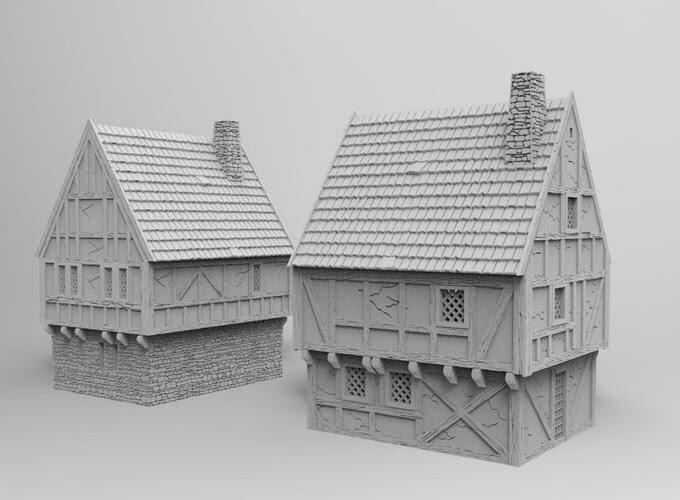 So let's not forget, I show almost new buildings. 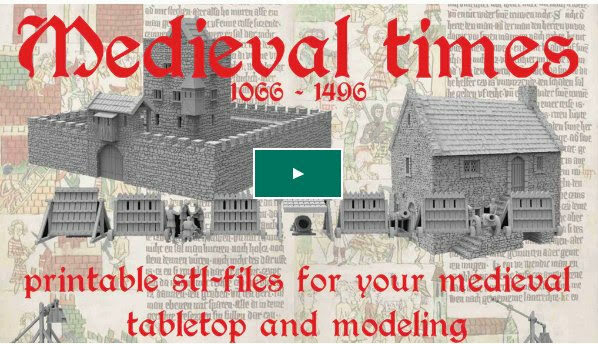 Because our games and model building are in the Middle Ages and not today. So we conclude, the buildings looked accurate and straight. 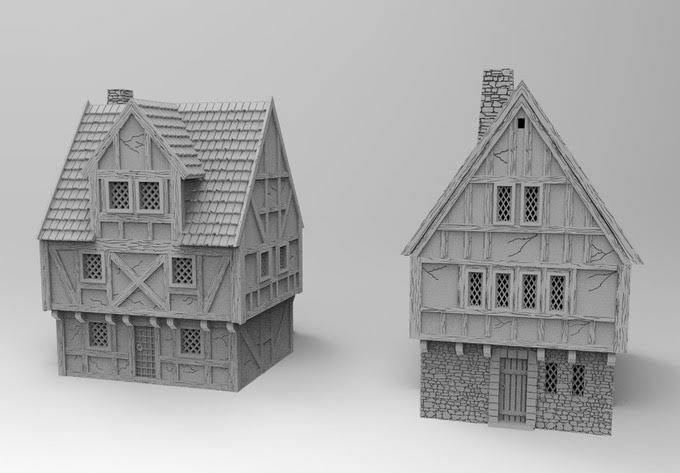 If my houses are too neat for the Middle Ages, you have to fall back on fantasy buildings. I certainly will not implement this style. Of course, one or the other crack comes to light. But broken roofs with missing shingles will not exist with me. A dense roof - then as now - is the ultimate protection against rain and storm. 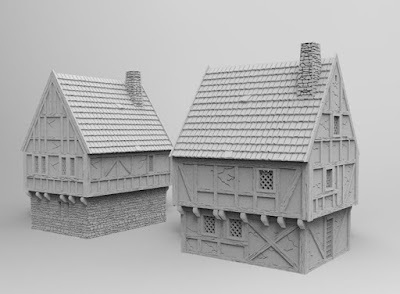 As well as in the Middle Ages everyone will have immediately replaced a missing roof shingle ... ..